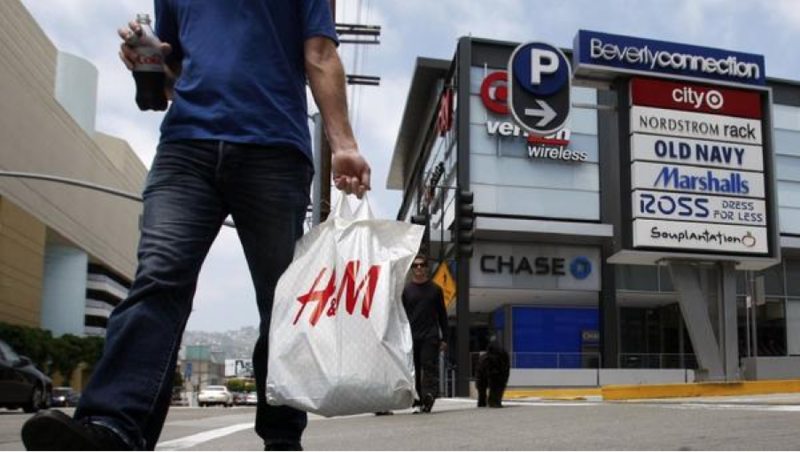 T he Beverly Connection, a popular shopping center in the Beverly Grove neighborhood of Los Angeles, will be sold for $260 million to a New York investor. Landlord Vornado Realty Trust of New Jersey said it will sell the 335,000-square foot center at La Cienega and Beverly boulevards, across the street from the Beverly Center. Vornado did not identify the buyer, but Ashkenazy Acquisition Corp. President Michael Alpert confirmed Monday that Ashkenazy has agreed to acquire the center that is home to such large stores as Old Navy, Nordstrom Rack, Men’s Warehouse and Marshalls. “We like to acquire trophy properties in major markets around the U.S.,” Alpert said. The sale is expected to close in the third quarter. In Beverly Hills, Ashkenazy owns the Armani Building on Camden Drive and the building housing the Barneys New York department store on Wilshire Boulevard. Other local acquisitions are coming, he said. Ashkenazy also plans to buy more properties in the San Francisco and San Diego areas, where it already has holdings. Among them are One Union Square and One Stockton, both in downtown San Francisco. Ashkenazy has more than 100 retail, office and residential properties valued at approximately $5 billion in the United States and Canada.